Are you overlooking the most critical component of your racing program? SPRING VALLEY, MN – December 18, 2014: (Photo courtesy of Gulbranson Photo) Are you ready to start winning? Are you tired of always guessing? If you answered yes to either of those questions it’s time your start leaning the facts. Winning takes knowledge and RaceWise teaches you what adjustments to make, when, and why. 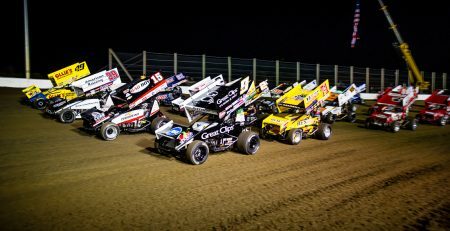 Deer Creek Speedway has yet again teamed up with Mark Bush and Kevin Stoa of KS Engineering to bring you the RaceWise Dirt Track Chassis School on February 20-22nd to help drivers take that next step in their racing program. KS Engineering was home to over 200 feature wins in 2014 and has nearly 50 years of combined e ngine building and automotive service experience. Kevin has been around racing his whole career and has seen success not only behind the wheel of a car but also as a engine builder. KS Engineering opened its doors in January 2010, with 50 feature wins in its first season of operation. This years school will once again be located at the Riverland Community College in Albert Lea, MN. Hotel rooms can be booked at the AmericInn Albert Lea by calling (507) 373-4324, rooms starting at $89.99 a night. 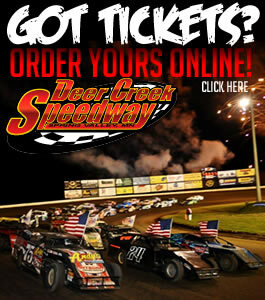 Start Winning: RaceWise students include World 100, World of Outlaw, UMP, USMTS, WISSOTA, IMCA champions along with countless first-time feature and track championship winners. • Lift & Pull Bars • Wedge Adjustments • Stacked, double spring & bump stop set-ups • Weight distribution/ ballast placement • Body roll/ roll steer • Roll center tuning/ effects • Tire track widths/ alignment & much more! RaceWise simplifies handling & learning: • Instruction is racer friendly, well organized, in-depth and delivered in an easy to follow, step-by-step manner • Special simulators, actual suspensions, overhead projectors and videos facilitate learning. • Note taking is minimal. 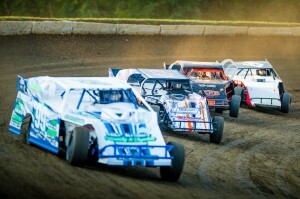 Class follows the 145 page RaceWise Dirt Track Chassis School Handbook full of suspension diagrams, tuning & set-up guides, tire compound charts/ grooving patterns, maintenance & set-up procedures/ diagrams, spring & shock charts, and much more. Learn the Facts: Winning takes knowledge. RaceWise teaches you what adjustments to make when & why.